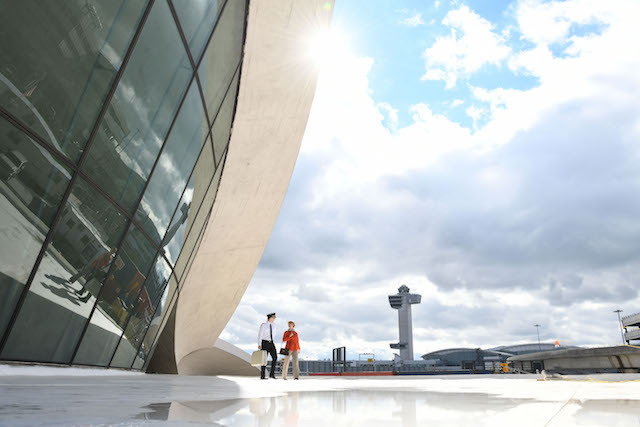 Yes, the sleek, iconic old TWA Flight Center—which has been sitting abandoned like a 1960s time capsule at JFK Airport since 2001—will be opening its doors as a hotel soon. Fine. If we couldn't move this thing to Manhattan to, say, replace Port Authority, or perhaps figure out how to turn it into some sort of portal to another era, then fine. If we were, I guess, never going to be allowed to get in there whenever we pleased to re-enact scenes from Catch Me If You Can, or live out some amazing mid-century cosplay fantasy, then sure, a hotel. Whatever. "YOU’RE GOING TO LOVE THIS!" the press release I received this morning screamed at me in a Mid-Atlantic accent. You don't know me, press release. What I would have LOVED was if this became a gigantic bar, with all its original furnishings. Or my personal home. It continued to tell me that reservations for the hotel will be open starting February 14th, and the first guests will be checking in starting May 15th (room rates start at $249). "The TWA Hotel’s 512 midcentury modern-inspired guestrooms feature cocktail bars and Hollywood-style vanities," which is nice sounding, and there will be "rewired vintage rotary phones" (I had also planned to include this had the Flight Center become my personal home, which it did not). 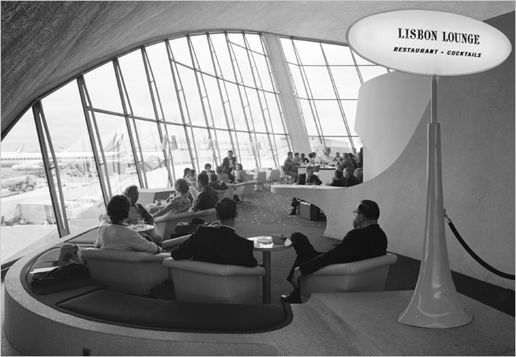 The hotel will be "housed behind the 1962 Eero Saarinen-designed landmark," which itself will feature the Paris Café (a nod to the old one) by Jean-Georges. Yep, cool, I was planning on one of those, too, had this become my personal home, which as we now know, it did not.